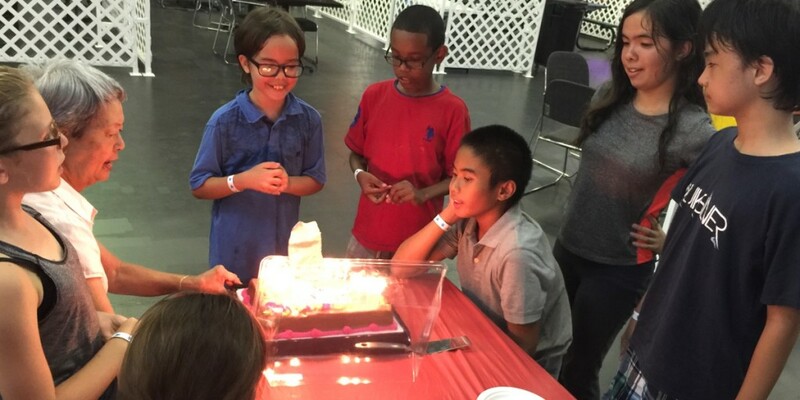 Last weekend our youngest son celebrated his 11th birthday at iTrampoline Hawaii in Kapolei. I was impressed, as he researched possible venues and picked the spot all on his own. And I had never heard of the place. 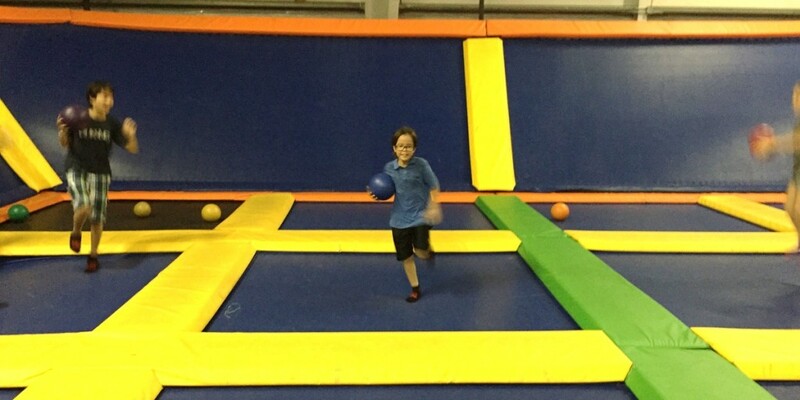 Trampoline parks are a thing on the mainland, of course, but I wasn’t aware that we had one here. But iTrampoline celebrated its second anniversary earlier this year. Open Thursday through Monday, people can show up to jump anytime, but a big part of the business is hosting groups and parties, like ours. Putting on my “dad blogger” hat for the day, here are some photos (click any image to see the full gallery on Flickr) and observations from our first visit. 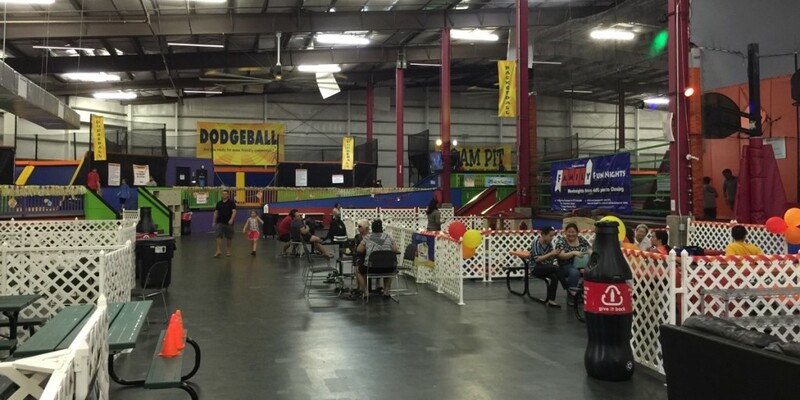 Though iTrampoline Hawaii is only conveniently located for people already in Kapolei, and not the cheapest party option in town, I think we’ll be back. 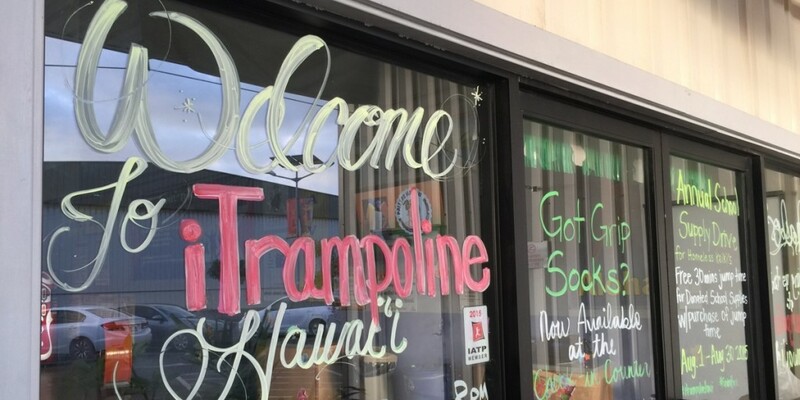 I’m hardly a “townie,” but the trip out to iTrampoline Hawaii was a little long. While technically in Kapolei, it’s situated near the far west end, past Barber’s Point toward Kalaeloa. When Apple Maps directed us down a dead end industrial street in Campbell Industrial Park, I was just beginning to think we were lost when we saw the signs. 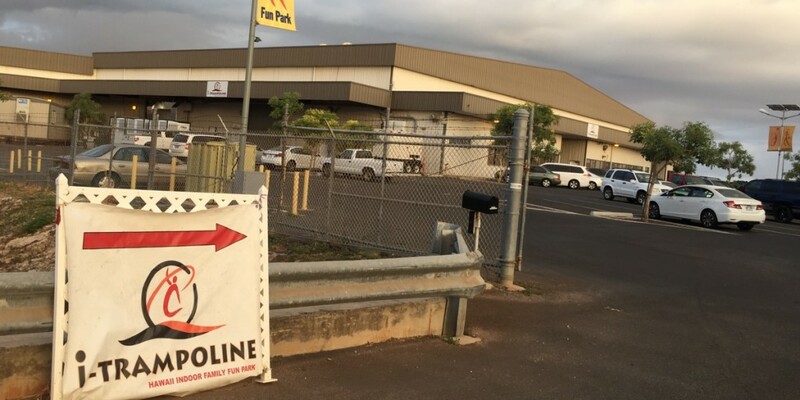 iTrampoline Hawaii occupies a large open warehouse, and reminded me immediately of Ice Palace — more because of the niche business model than the temperature (see below). 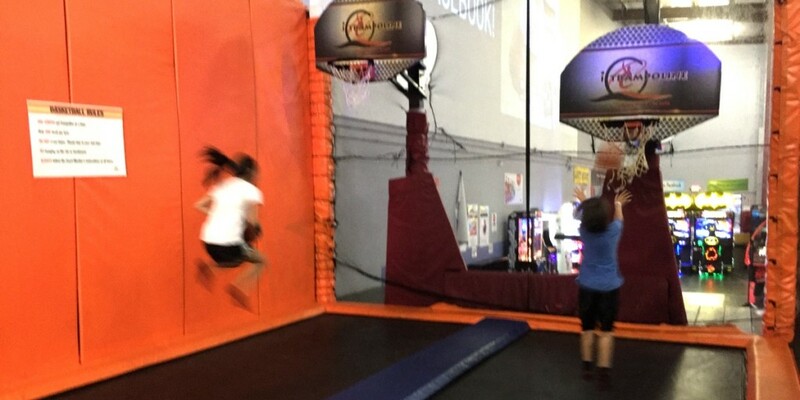 If you love to jump on trampolines, this place is probably worth the drive. Check in was seamless for us, because we had made all the arrangements online. 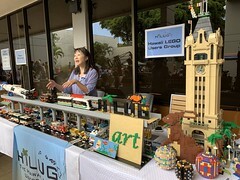 iTrampoline Hawaii has a very thorough website and ecommerce component, and prior to our reserved birthday party, there was a lot of follow-up leading up to the day of our event. 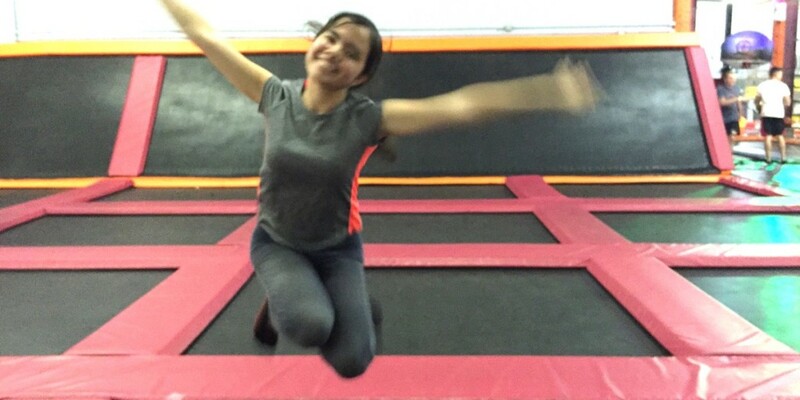 Of course, the reason for all the careful prep work was the requirement that anyone planning on jumping at iTrampoline had to fill out a liability waiver first. It’s not exactly the warmest first impression, and felt to me like a barrier in terms of encouraging my son’s classmates to attend… but fortunately most of them had been there before, and the waiver process for people who hadn’t was pretty straightforward. All jumpers also need to wear socks with rubber grip soles, which they sell for $3 per pair. Most of iTrampoline’s floor space that’s not covered with trampolines is configured for groups and parties, with a few tables for everyone else. And jumping time is measured in hours. Everyone who jumps gets a wrist band that indicates when time is up. Showing up early got us a few extra minutes on the trampolines. 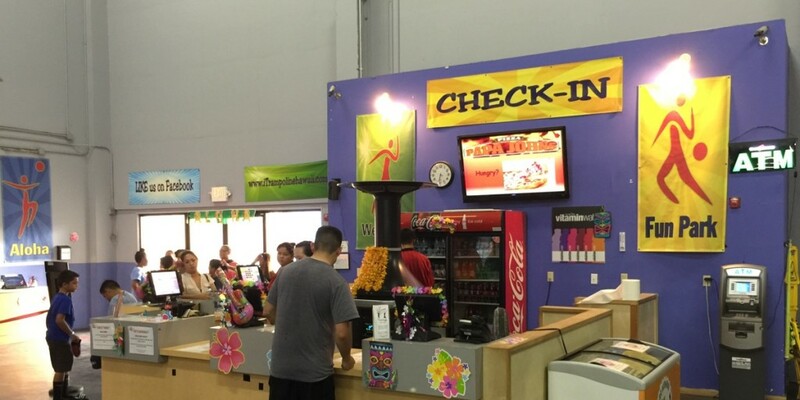 The single most frequent complaint mentioned in reviews of iTrampoline Hawaii was the heat. (And it’s been a very hot summer.) We scheduled our party for 6:30 p.m., afraid of what we’d have to endure earlier in the afternoon. Fortunately, it was relatively cool by then, and the space has massive ceiling fans that circulate air so well, it was almost too windy inside to light our son’s birthday candles. But the big news, months in the making, was the installation of air conditioning. 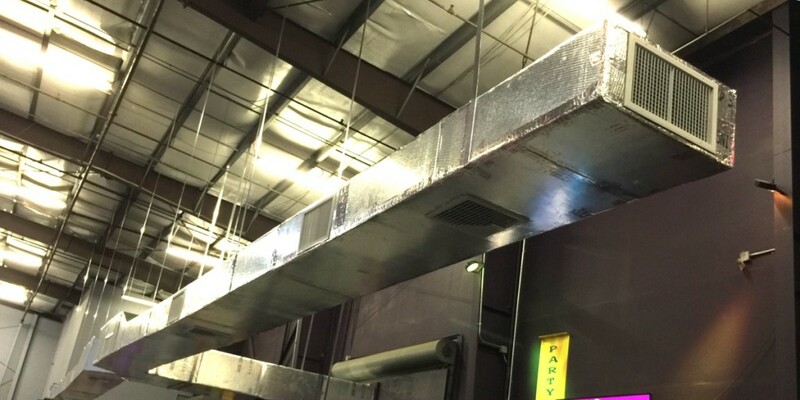 Considering the size of the space, it was no small project, and in fact while we were there, crews were suspending the last segments of metal ductwork overhead. The staff said they were days away from cranking things up to full power, and once that happens, I think iTrampoline Hawaii will be a much more compelling destination. 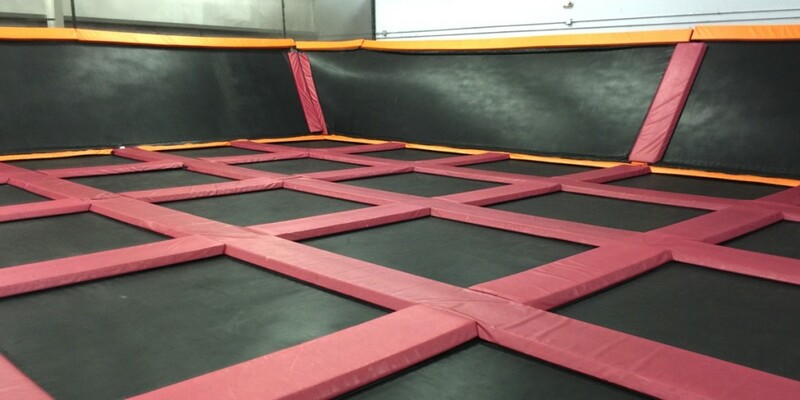 The largest area inside the space is a grid of trampolines, bordered on three sides with trampoline walls. This is probably paradise for the jumping inclined and physically fit, though I could only bounce straight up in down in one place for five minutes at a time without getting a headache. Among the rules for the trampoline floor was that only one person could be in a square at a time, so if you envisioned jumping hand in hand with your sweetie, you’re out of luck. Indeed, one thing that surprised me was the number of staff on hand, all of which were deployed around the facility to ensure safety. 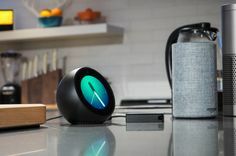 Some online reviews complain that the enforcement is to aggressive, but I’ll take periodic whistles and warnings over a paralyzed friend any day. 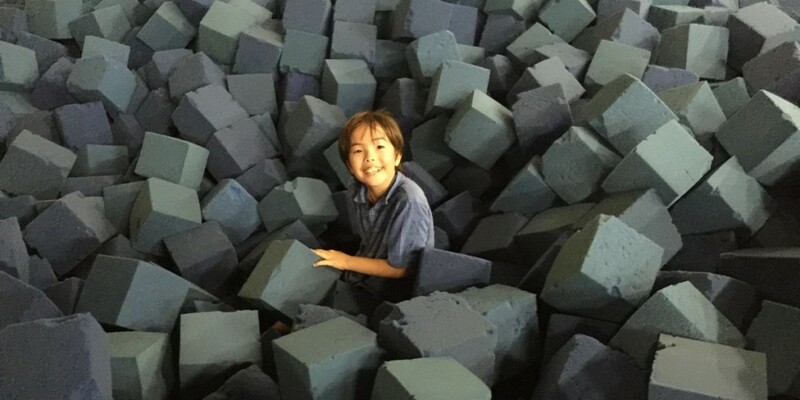 A popular attraction was the foam pit, where three trampoline runways allow you to take a flying leap into a… well, pit of foam cubes. 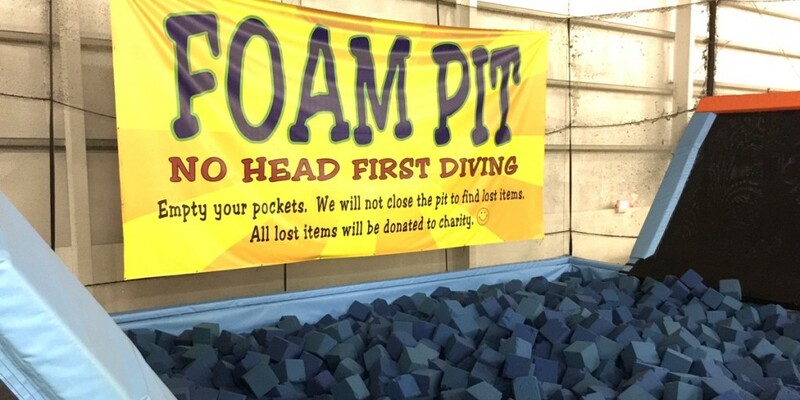 But you can’t dive in head first, and the pit featured a common warning about empty pockets. “All lost items will be donated to charity,” the signs read. 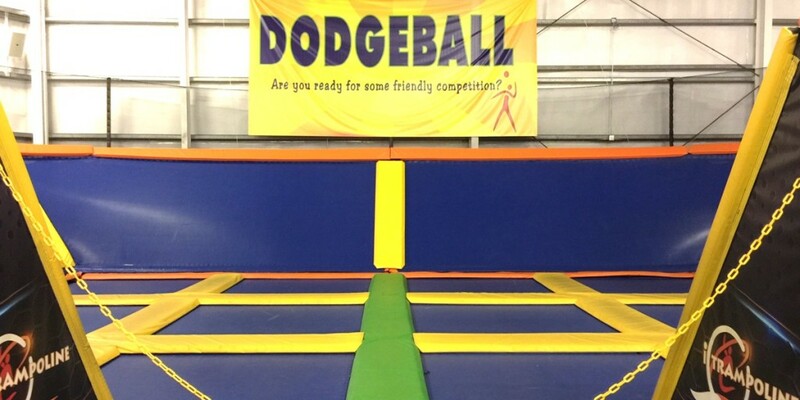 If you’re feeling more competitive — and I gathered many of the people who go to iTrampoline are — there are two dodgeball arenas. I had too many traumatic memories from elementary school to even set foot in them. Also fun, a pair of basketball hoops with trampoline runways. This is probably the best chance many short people will have at making a slam dunk. Speaking for myself, the bouncy floor only made my poor hoop shooting skills even poorer. 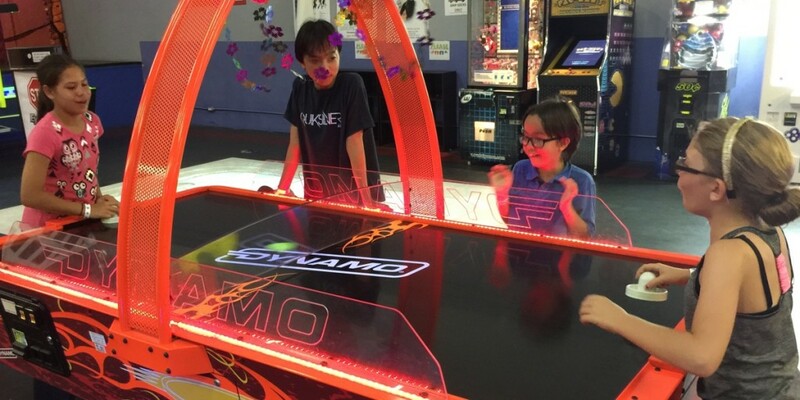 And, when the jumping’s done, iTrampoline has a game area, including a couple of air hockey tables. 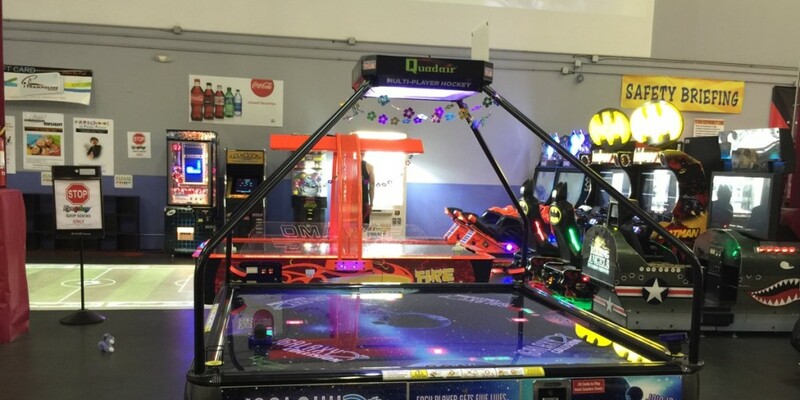 They take quarters, with a change machine ready to convert your dollar bills into both amusement and frustration. 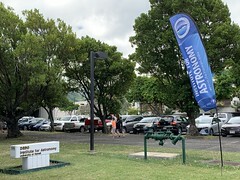 Overall, I enjoyed our time at iTrampoline Hawaii, even though I’m normally the last person to sign up to do anything that involves physical exertion. 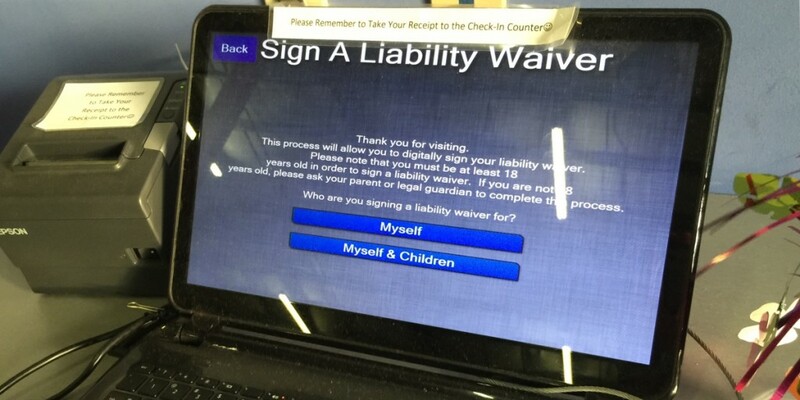 The waiver process is a pain but well organized, and while the cost isn’t cheap (our party, which included ten jumpers and some extra food, came out to $380), it looks like the money is well spent on equipment, staff (though none, it seemed, over the age of 25), and — any day now — air conditioning. If you’re looking for another testimonial, though, I’ll tell you this. After the evening wrapped up, the birthday boy declared our trip to iTrampoline Hawaii his best birthday ever. 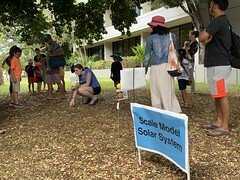 For more information, visit iTrampolineHawaii.com, or connect with the company’s Facebook page and Twitter account @iTrampolineHI. ‘Best birthday ever’…. that’s testimonial enough. 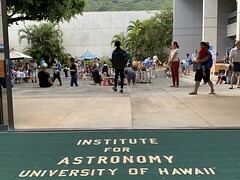 I’ve been to one in the mainland but didn’t know you guys have one in Oahu. 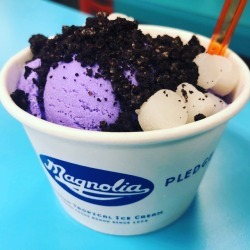 Maybe on my next trip, I’ll take the kids – specially if they have AC (by then) to escape the heat.